Regain your confidence chopping and slicing with gloves made of materials 4x stronger than leather. 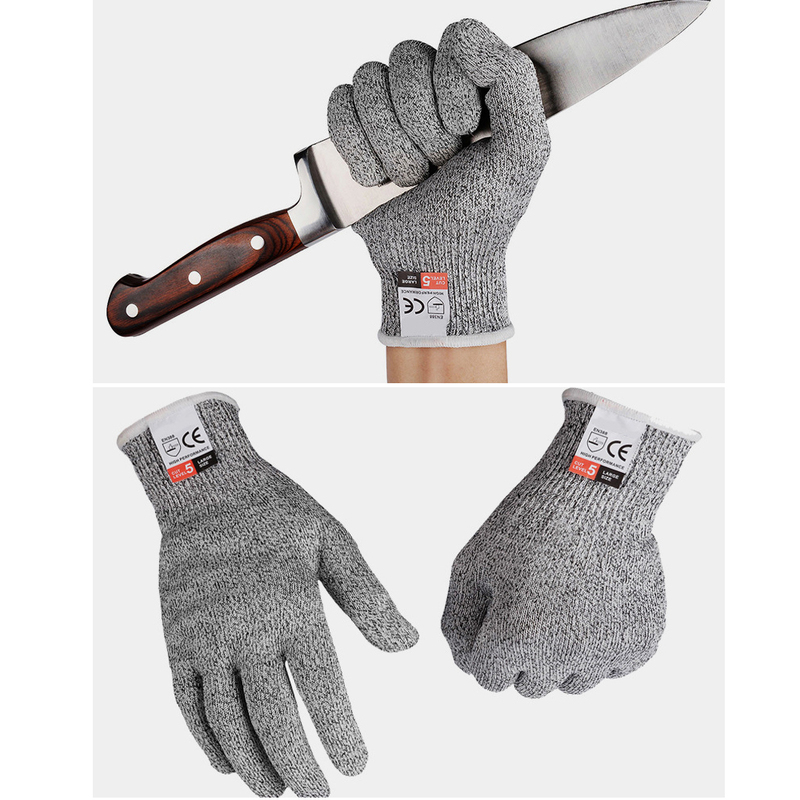 Cut resistant gloves let you handle your grater, knives, and mandolin without worrying if you'll need to bandage a finger or worse. 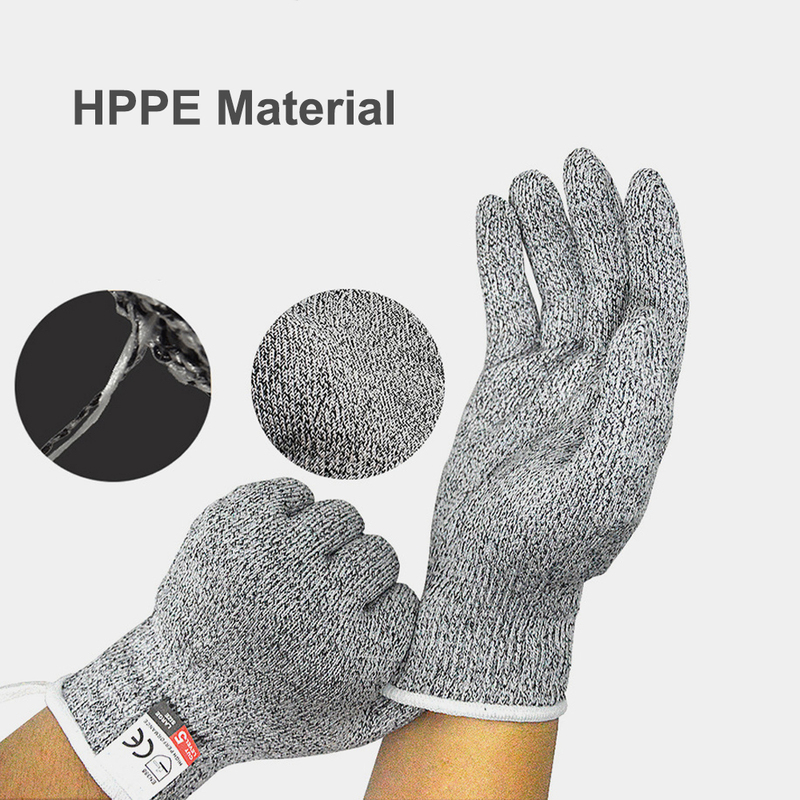 Made of food-safe ultra high molecular weight polyethylene, glass fiber, and Spandex, these gloves have been designed to resist cuts from even the sharpest blades. You can feel secure in knowing they have an EN388 Level 5 cut protection rating. Your cut resistant gloves will reduce the likelihood of sustaining serious injury if accidents happen. Work faster and safer with gloves that fit like a second skin! Protect your hands when you Quilt using a rotary cutter, Gardening, Pick up broken glass, Make car repairs, Strip copper wire, Carve wood, Cut hair Or any time you are coming into contact with sharp objects. 1. Durability with the highest level of cut-resistant material available on the market - 4 times stronger than leather. 2. Superior grip with a snug fit for small and large hands - prepare food or work on jobs requiring precision with complete dexterity. 3. Lightweight and comfortable protection without the bulk - awarded with the highest, EN388 level 5 cut resistance. 4. Ideal for cutting, working with slicers, knives, cutters, graters and peelers in the kitchen, woodworking, carving, carpentry, oyster shucking, and so much more. 5. 100 percent food safe and machine washable - keeping your gloves clean is easy.